A winning smile has countless benefits. Those who smile frequently are consistently considered more friendly, confident, and attractive than those who conceal their teeth. 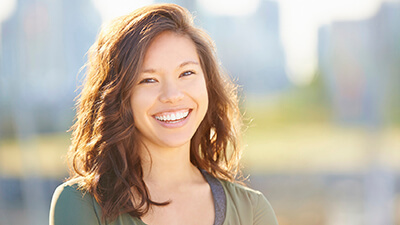 The Lake Forest cosmetic dentists at Campbell & Schmidt Cosmetic & Family Dentistry can help you decide on a procedure to improve the appearance of your smile. Drs. Douglas Campbell and David Schmidt offer a variety of cosmetic dentistry services to transform patients’ smile from flawed to flawless. If you’re interested in finding out more or scheduling a cosmetic dentistry consultation, contact our Lake Forest, IL team today. Porcelain veneers can be completed in as little as two visits to our office, giving you the fabulous smile you desire. Dr. Douglas B. Campbell and Dr. David E. Schmidt have been placing custom-made cosmetic veneers in the North Chicago suburbs for over 20 years, and they continue to attend cosmetic dentistry hands-on courses to improve their skills each year. Teeth that are marred by chips, cracks, decay, and discoloration can be aesthetically improved with dental bonding. Dr. Campbell and Dr. Schmidt match the color of the bonding material to your surrounding teeth using a professional shade guide. A composite resin in this exact color is applied to the damaged area. Our dentists then expose the resin to a high intensity light, which hardens it in position for durable wear. The resin will be shaped and polished so the restored tooth looks and feels natural. A brilliant smile can revitalize your face and dramatically improve your appearance. The in-office whitening technology featured at our practice far surpasses any home treatment currently available. While at-home treatments can temporarily and subtly lighten teeth, the Zoom!® in-office system whitens teeth by an average of eight shades in approximately one hour. For those patients with more extensive or deep-set staining, we may recommend dental bleaching using the KoR system. This system combines in-office whitening with continued take-home treatments to achieve the desired results. Tooth whitening in Lake Forest is not only fast but safe and comfortable. It is the perfect choice for the busy individual who wants dramatic, predictable results. As we age, the natural white color of our teeth gradually fades and teeth become darker. Zoom!® and KoR whitening restore the beautiful, bright color you are looking for. You may call our office to schedule a no charge consultation to find out more. 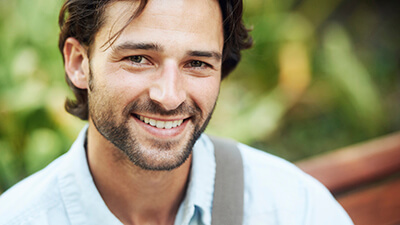 The appearance of a “gummy” smile can be improved with the advanced laser dentistry techniques available at Campbell & Schmidt Cosmetic & Family Dentistry. With a laser, our dentists sculpt excessive and uneven gum tissue to create a more appealing smile line. At the beginning of the gum recontouring procedure, the patient’s gums are numbed with anesthetic, and they are then reshaped by an extremely safe, highly precise laser. The laser immediately seals the gum tissue for a faster, more comfortable recovery. 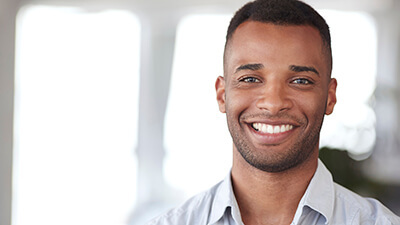 Blurring the line between cosmetic and restorative dental care, metal-free crowns, inlays, onlays, and other restorations from our office provide patients complete repair of damaged teeth in form, function, and cosmetic appearance. Crafted from tooth-colored, ceramic, these restorations can be made in our office for same day smile repair or by our trusted dental lab. The effective, durable restorations are ideal for front facing teeth, patients who want a cosmetically superior treatment option, and for patients who have allergies or sensitivities to metal. With the technology available at our office and the skill of our doctors, Campbell & Schmidt Cosmetic & Family Dentistry transforms any smile into a beautiful smile. By combining and customizing dental procedures, we are able to dramatically improve the appearance of teeth which are discolored, damaged, or misaligned. 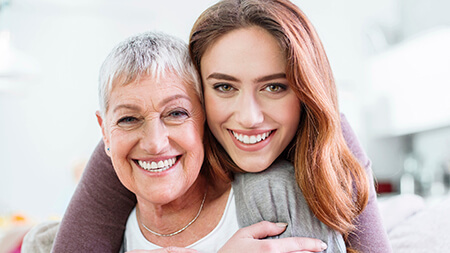 Based on the type and extent of your tooth damage, Dr. Campbell and Dr. Schmidt create a smile makeover treatment plan tailored specifically to you.